Cut Down on Clutter – Spring Cleaning & A Yard Sale! Spring Cleaning, How About a Garage Sale! Now that spring is finally here there’s no better time to clean up the clutter get organized and even consider having a yard sale. Over a long winter it’s easy to let certain cleaning chores go un done. The chores that we find the easiest to neglect during winter are window, walls, baseboard, and of course at the beginning of spring, there’s plenty of yard work to be done as well. Before you get started with your spring cleaning project it’s a great idea to consider having a yard sale. Yard sales are useful for several reasons, first of course they provide you with some extra cash and they allow you to cut down on clutter. It goes without saying that with less stuff around you’ll have a much easier time getting organized. You may or may not realize it but too much clutter can be source of nervousness, stress and can even become a source for lack of motivation. Sometimes when we feel overwhelmed we often put off til tomorrow what we should have done today. If you’ve decided to have a yard sale, it pays to plan first. Locate an area of your home where you can store all the items that you come across while doing your spring cleaning that you intend on selling,. Create categories such as clothing, household goods, tools & equipment, toys etc this will save you a lot of time and organization later when setting up the yard sale. If possible choose an area to store the items that will allow you to have the ability to clean many of the items that you intend on selling, just like a car you have a much better chance to sell a clean item that you do a dirty item. Once you’ve made the decision to take on the spring cleaning project and have a yard sale, don’t forget to advertise. If you’re going to start the spring cleaning project this weekend and perhaps have yard sale the following weekend post a few notices around town to let everyone know you will be having a yard sale on the particular date. Do this a week before had so plenty of people will be aware of the big sale. This step will ensure more potential customers. Make sure to check out the weather a few days in advance of the sale just to be sure no big storms have decided to roll in. Consider getting together with a few of your neighbors and friends, find out if they would like to participate: Multi Family yard sales can draw in even more customers. 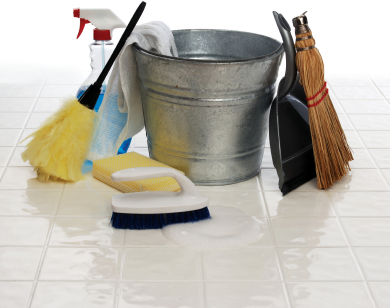 Be sure all of your items are clean and presentable, the cleaner the product, the higher the asking price. Don’t be afraid to part with those items that you think you should keep but really have no reason to keep them. When you’ve finished, you’ll have a cleaner home, less clutter, you’ll be more organized, and have more money in your pocket. So you see there really is no down side. I did it and I made 250 bucks off junk in my house!!! Having a group yard sale works the best!! Previous story Ask for discounts!